The ability to conform to uneven surfaces is advantageous for many industries and applications in which heavy working and corrosive environments cause surface elements to deteriorate and lose their initial even perfection over time. Magnetic Strips – Technomag, Inc. 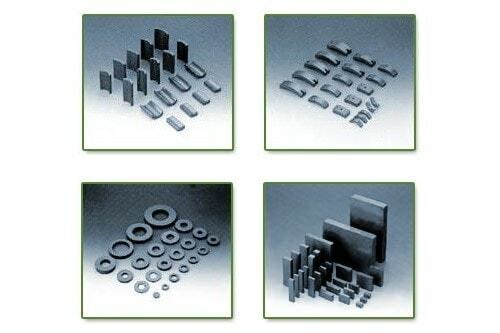 Magnetic strips are the most inexpensive type of magnetic shape and are typically manufactured from a mixture of ferrite magnet powder and rubber material, and are undergoing further forming by means of the extrusion process. These flexible strips come in large rolls and are used for a wide range of applications, particularly residential and commercial applications such as signs, refrigerator magnets, POP displays, craft supplies, trade show displays, markers and advertising boards. Also used for industrial applications such as in switches, manufactured products and sensory devices, magnetic strips provide noise and vibration dampening. In addition, magnetic strips are commonly utilized in sealing applications as well. For instance, latching, gaskets, door seals, shower and bathroom sealing and refrigerator door sealing are all accomplished with the use of magnetic rubber strips. Magnetic strip are almost always manufactured with some sort of adhesive backing in order to better conform to the desired surface. Some common materials used for the adhesive backings on magnetic strips are acrylic-based adhesives, normal and foam, and rubber-based adhesives, craft, high-track and foam. The physical appearance of most basic strips of magnetic rubber is uncoated and a dark brown color. However, magnetic strips can be laminated on the non-magnetic side of the strip. In addition, they all have a weak and strong magnetic side, are cut easily, lightweight, are permanent magnets and, therefore, are reusable. For standard sizes of magnetic strips, their width ranges from .5 to 2 inches, while their thickness is anywhere from .03 to 1 inch thick. The most common thickness of magnetic strips is .6 inches, which provides enough strength for most strip applications. The adhesive backing may be foam or a pressure-sensitive backing material, that is rubber-based for indoor and craft applications, or acrylic-based, which adheres to plastics and vinyl for both indoor and outdoor uses. Some magnetic strips have a vinyl outer coating, which provides a wide range of color options. Steel backing also provides more bonding strength. 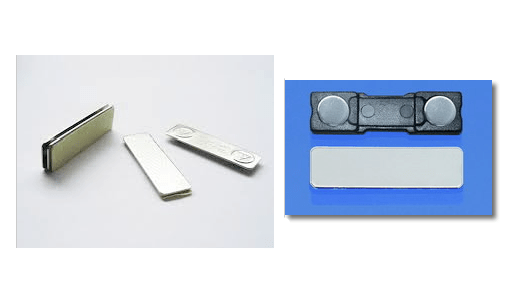 Magnetic Strips Magnetic strips are thin pieces of flexible magnetic rubber material that usually have an adhesive on one side and can conform to irregular or uneven surfaces that are magnetically receptive.